Join us this morning as we venture through one of the most stunning rainforests in Victoria as a part of our Puffing Billy Melbourne Tour. 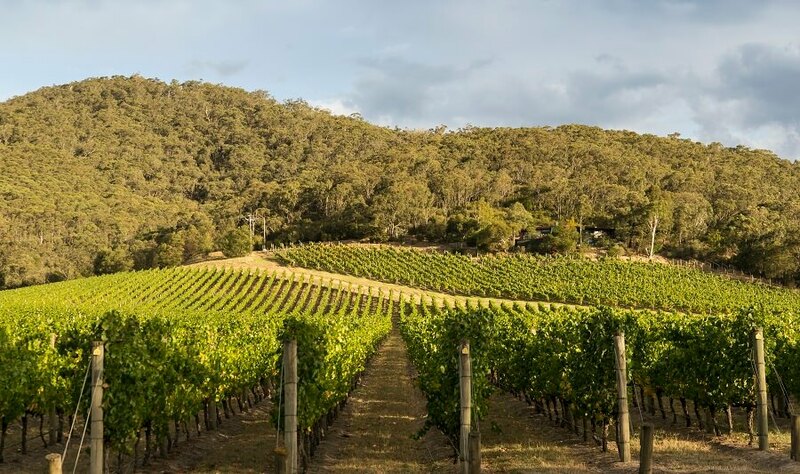 Throughout the day, you will be treated to a variety of delicious Australian food, and taste some fine wines at many Victoria’s leading wineries. 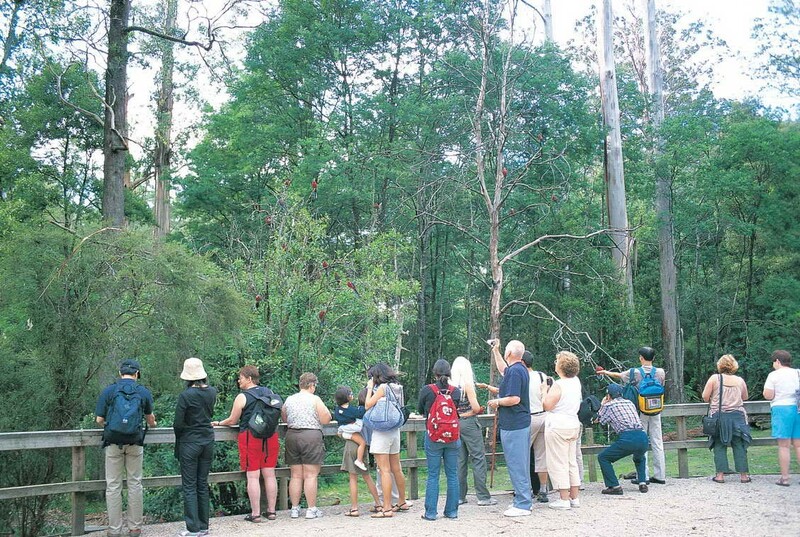 The Dandenong Ranges is our first stop on our Puffing Billy Melbourne Tour. 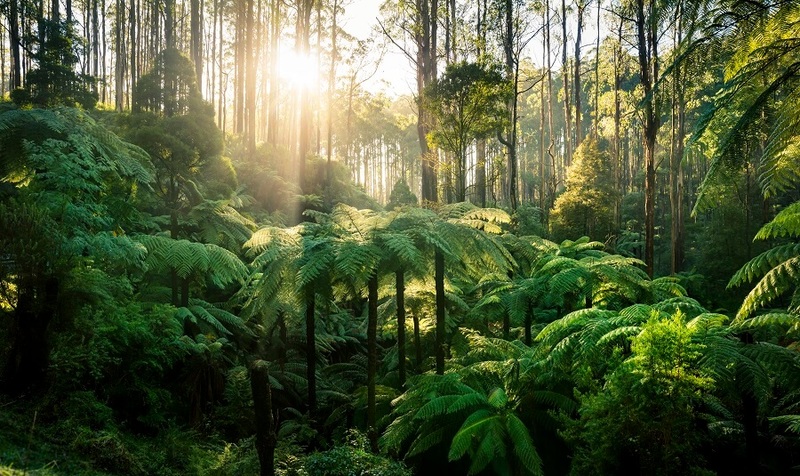 At the Dandenong Ranges, you will witness several waterfalls, lush rainforests of Mountain Ash Trees, as well as a range of steep valleys and rolling hills. There are a few arts and craft stores and cafes to explore within the area. Following on from the Dandenong Ranges is our next stop at Grants on Sherbrook. Grants on Sherbrook is an ideal location to take in the fresh air and scenery of the Dandenong Ranges, whilst enjoying traditional Devonshire Tea and warm homemade scones which are served with jam and whipped cream. Birdlife is rather fascinating within the Dandenong Ranges, in particularly, Grants on Sherbrook. 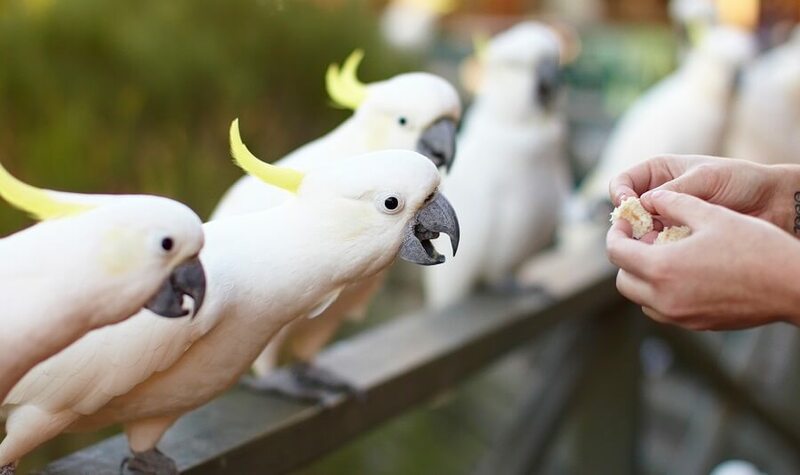 Join us as we have the chance to hand feed some of Australia’s native birds such as the Crimson Rosella, Sulphur Crested Cockatoo and Pink-Chested Galah. Birds sing in sync and spread a joyful atmosphere within the valley. To spice the Puffing Billy Melbourne Tour up, we head to Belgrave, where you will have the opportunity to board the famous Puffing Billy Steam Train. The steam train operates daily and follows the route of Belgrave to Menzies Creek. The steam train has been maintained in its original design and replicates the old-fashioned train network throughout Victoria. 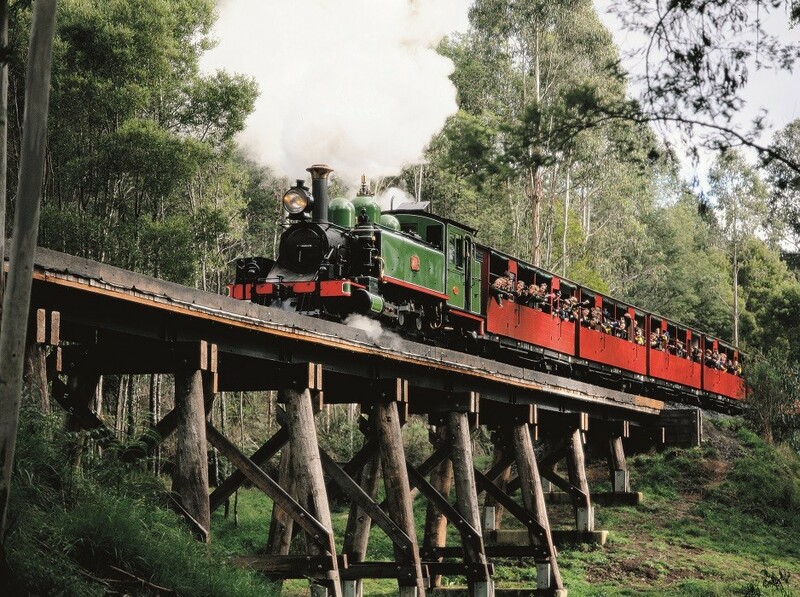 The Trestle Bridge and Sherbrook Forest, are two of the many landmarks you will cross over, on your 30-minute Puffing Billy Steam Train ride. 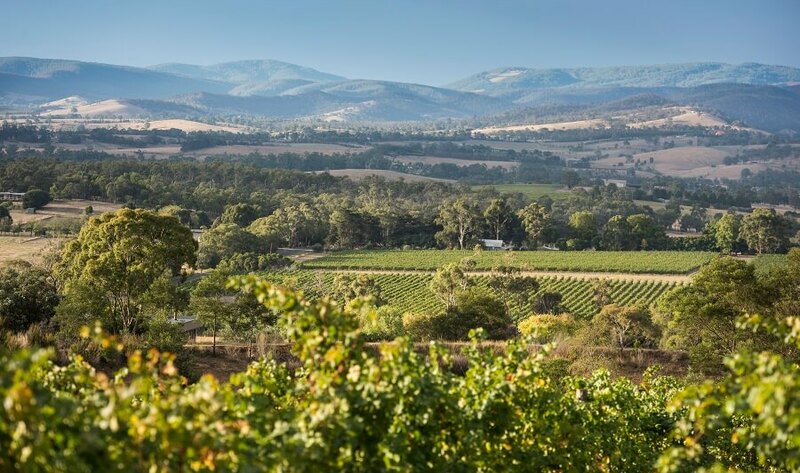 To wrap up the Puffing Billy Melbourne Tour, we travel to Victoria’s primary wine growing region, known as the Yarra Valley. 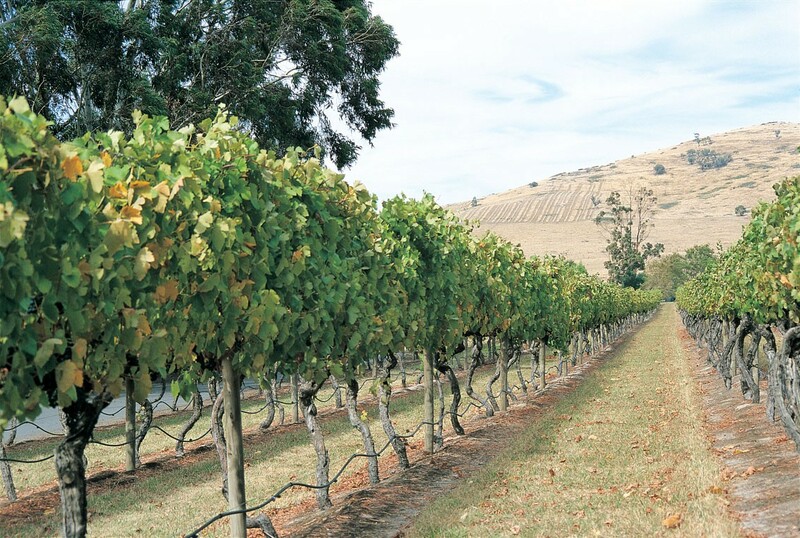 At Yarra Valley, guests will be treated to several wine tastings at Rochford Winery, as well as two other leading wineries throughout the region. 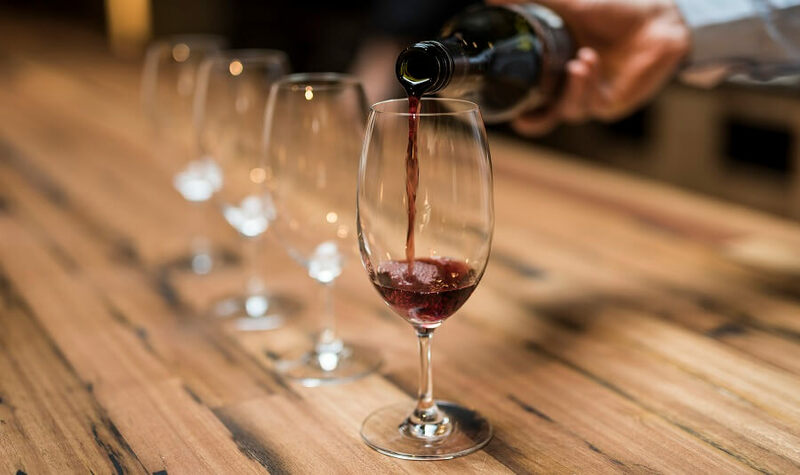 Here, you will not only taste these pristine wines but, you will also gain valuable knowledge and information regarding the production processes of the wines of the Yarra Valley. The Puffing Steam Train and Yarra Valley Tour offers participants an unforgettable experience including spectacular mountain views, first-class wine tastings and of course the famous journey of the Puffing Billy Steam Train.